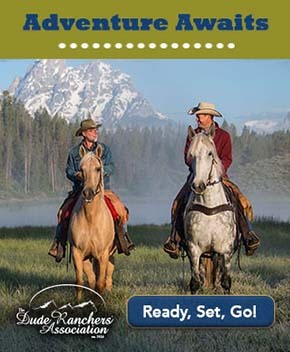 Dude Ranch Vacation Deals & Specials on Horseback Riding Vacations! We continually update the Equitrekking Travel Deals page and blast it out first in Equitrekking's free monthly e-newsletter. Sign up to get the best dude ranch vacation travel deals first. Enjoy discounts on riding holidays and bargains on cattle drives and riding vacations. Need more ideas? 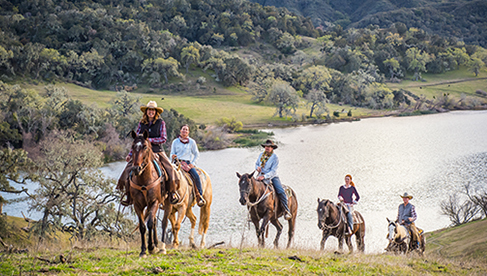 Search the Equitrekking Vacation Guide and Top20Ranches.com. Find the best dude ranches, cattle drives, and global riding vacations in Equitrekking's Vacation Guide. Watch more video from the multiple national Emmy Award-winning PBS & globally broadcast travel series. Copyright 2004 - 2019 DCN Creative, LLC.